This past Christmas we flew back to Pennsylvania to spend Christmas with Larry's family and to attend the wedding of his younger brother Danny. 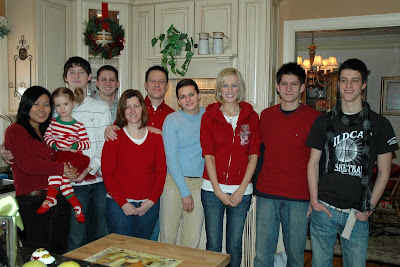 This was the first Christmas in which all of the Furrs were together at once since 2004. Pictured below are all of the Furrs on Christmas morning except for Abby and Christian (who were sleeping) and Larry (who was taking the picture). 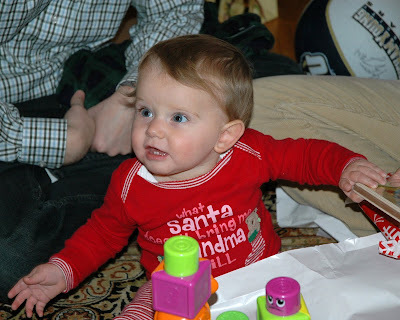 Ava was quick to scope out the presents under the tree. 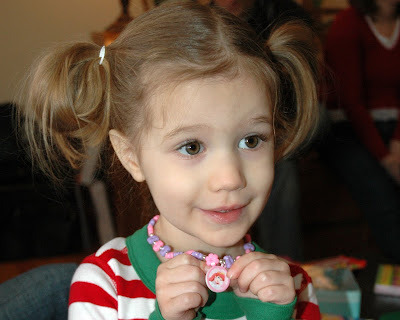 She started by opening her stocking, which included this Little Mermaid necklace. 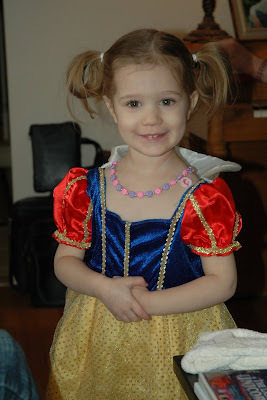 Her favorite present was by far this Snow White dress, which Santa found online for just $4. Ava has worn it pretty much every day since—the best $4 ever spent. After putting on the dress, she will announce that "it's Snow White time" and then proceed to hand out roles. Larry and Christian are typically cast as dwarfs, while Krista gets to play "a bunny". Guess who is always Snow White. Ava will then run around the house flailing her arms in distress mimicking Snow White as she runs through the forest near the start of the film. Christian (who was up Christmas Eve until four in the morning) slept blissfully through most of the festivities. 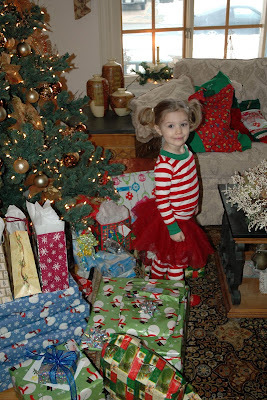 Abby, however, was up and ready to open presents. Her shirt (which reads "What Santa doesn't bring me, Grandma will") was spot on, as both she and Ava made out like bandits. 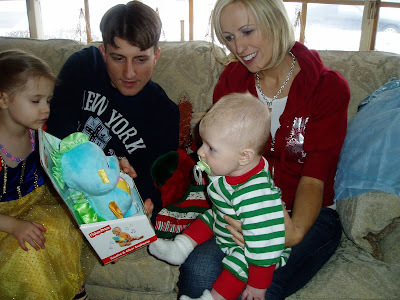 Christian eventually decided to wake up and open his presents. After opening the presents, Larry's family headed over to the church to set up for Danny and Patricia's reception the following day (pictures are forthcoming). I miss both Ava and little Christian.. Especially playing with Ava everyday lol.. i get so tired from running around with her and i don't know how she does it ha ha.. So fun to see pics of the fab trip I heard so much about! I love Ava's jammies too! Wow! The picture of Ava with her Ariel necklace is one of the cutest pictures ever. That face is priceless.